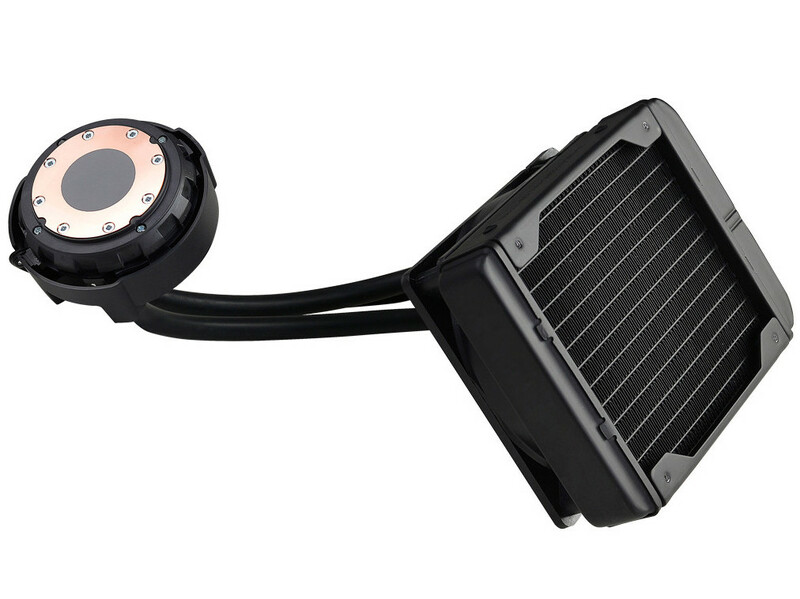 EVGA today introduced the CLC 120 CL11 all-in-one, closed-loop, liquid CPU cooler (model: 400-HY-CL11-V1). 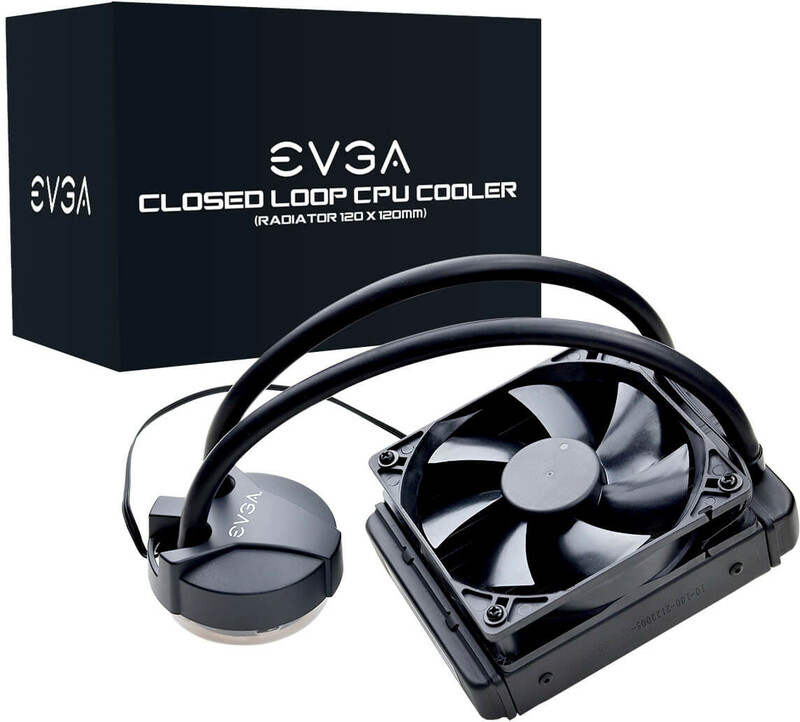 The cooler is based on an all new pump-block design that appears to be more cost-effective than the rounded-square pump-block EVGA uses on its original CLC series coolers. It lacks RGB LED lighting, but offers "improved coolant flow-rate, and higher surface-area for heat dissipation," according to EVGA. Taking advantage of the higher coolant pressure, EVGA deployed a slightly thicker radiator, which is 30 mm thick compared to the 27 mm thickness of the original's radiator. This is a bi-metal liquid cooler, in that the block is made of copper, while the radiator is made of aluminium. The company still backs it with a 5-year warranty. The block supports only Intel sockets, including LGA2066, LGA2011(v3), and LGA115x. The other area of cost-cutting appears to be the included fan. 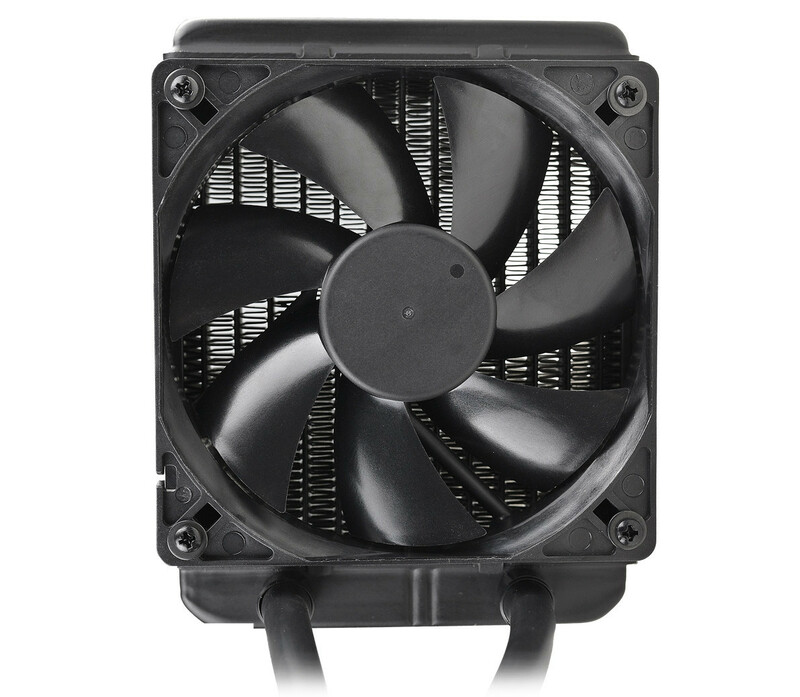 It has a simpler impeller design than the one EVGA includes with the CLC 120, and only has 2/3rds its maximum airflow. The "Teflon nano bearing" makes way for simpler sleeve bearing; speeds range up to 1,800 RPM (the original spins up to 2,400 RPM), and maximum airflow is 58.87 CFM (against 74.87 CFM of the original). 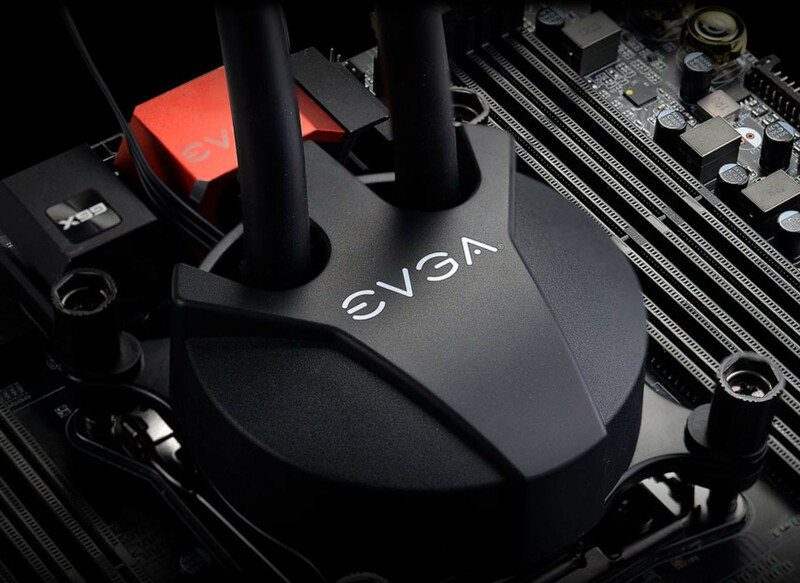 Available now, the EVGA CLC 120 CL11 is priced at USD $59.99, $30 cheaper than the original CLC 120.
yet another G4/5 asetek unit instead of the new and improved G6. Wonder if corsair has exclusive G6 access for some period of time. is the corsair h150i 360mm g6? i am new to the AIO world. lol just curious. if I was going to spend that much money, I'd rather spend a little more and just get the EK Fluid Gaming system. Available now, the EVGA CLC 120 CL11 is priced at USD $59.99, $20 cheaper than the original CLC 120.
isnt the original $89.99, $30 more? Isnt the G6 model basically crap? From what I saw initially when the H150i was released by Corsair a few weeks back it wasn't getting favorable reviews as corsair went the quiet route rather than the performance route due to ppl complaining about noise. Could also be because of the type of fans that it uses too. Im not entirely sure. Fans are fine since they used the Magnetic bearing fans which are basically silent in terms of motor noise and do not get loud under full RPM either. THe problem is lack of air pressure. 1600 RPM isnt enough to drive the air through those tightly packed fins. If corsair had used a slightly lower FPI radiator then performance would likely be better. But it has similar Static Pressure though, no? I need to check the old one again, lol. But the point here is more for silence than performance as well so keep that in mind. Yeah i was thinking 1600 for some reason but yeah looking at the review i did vs an AIO i helped design. going 17-19 FPI vs 21-22 FPI Asetek units usually have shaved off around 1.5 dBA alone. Performance also improved by 1 C across the board (retested during the design phase way to many times but it was consistantly better by 1-2C. Generally speaking slower fans and tightly packed rad fins are not the answer. Its a fine line, isn't it? It is but when that fine line lets you be a full 1 dBA quieter than your competition while also out performing them by 1-2C its quite helpful. Its also not difficult to do from a design perspective. The problem is after working company X, its not design that drives innovation its feature creep. I was working on AIOs and Aircoolers all design had to be RGB enabled no matter what. Colorful lights were more important than anything else. That is what sells! Fickle market! Based on reviews of Corsair AIO with the G6 as far as im aware theres no real difference in performance . So i dont mind Evga or others using older G4/G5 units especialy if this allows them to drive the price down.